A Top Tip I wrote here a few weeks back, tried to start a minor war against those widely held prejudices about sweet wine. Anyone who hesitated about the call to arms back then should bear in mind that Christmas is the perfect time for that style of wine – especially as it often provides fare that represents great value for money. This time of year is also ideal for another seriously under-valued genre – fortified wines. So, for those of you not shy about acquiring a reputation as a trendsetter, here are some great wines in both styles that will help you win over any doubters within your ken. As ever, click on any of the images shown for an enlarged picture that makes it a bit easier in the hustle, bustle and jostle of shopping at Christmas. Picking up on what Bordeaux has done well with botrytis affected semillon for centuries, Australia makes some excellent “stickies” from that variety including this great value option from the acclaimed De Bortili operation. 2015 Finest Dessert Semillon (£6 at Tesco and 10% abv) has real depth and all the honey and marmalade flavours you would expect but garnishes it with lively hints of acidity and a delightful brightness that illuminates the whole package. Let’s move from a relative newcomer with botrytis-driven sweet wine to probably the world’s oldest region to make it – the area around the town of Tokaj in Hungary – and to the furmint grape that does so well there. Here the variety is joined by a couple of other – less well known – grapes to create 2017 Taste the Difference Royal Tokaji (£10 for 50cl – instead of £12 until 11 December – at Sainsbury's and 11.5%) that, like that semillon, has an acidity enlivened marmalade and honeycomb backbone but this time there are zesty lime touches with apple and pear fruit on display too. Once again Lidl put Canadian Icewine on their Christmas list and Aldi also have one this year (from Lakeview Cellars at £16.99). Remember, the tortuous production process of waiting for grapes to freeze on the vine and then harvesting them quickly, means that Icewine normally retails around £50, so both options really are snips. 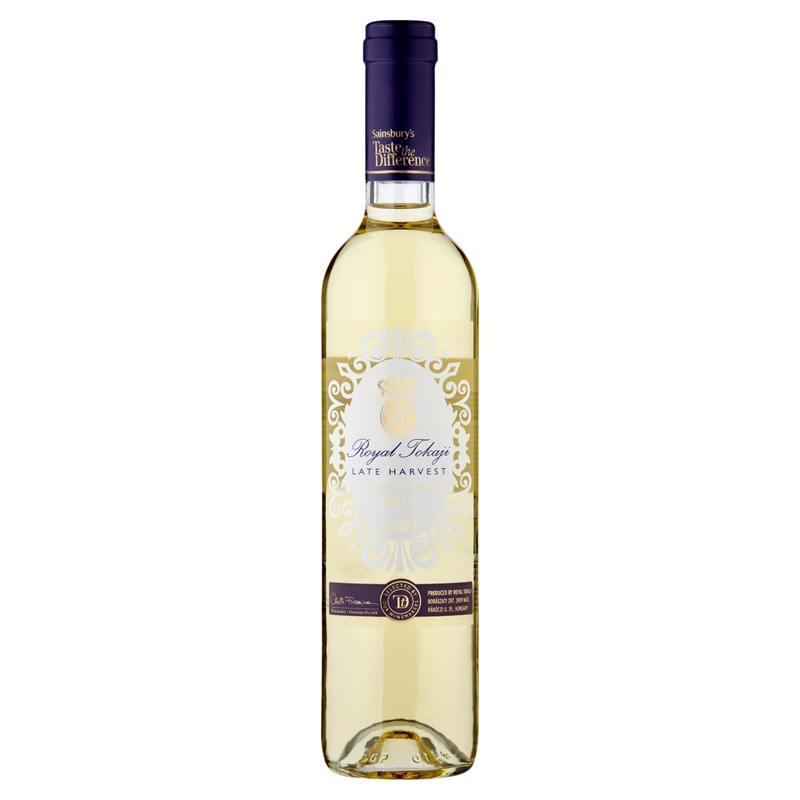 As well as one made from vidal grapes, Lidl have this 2017 Pillitteri Estate Riesling Icewine for Christmas 2018 (£14.99 for a half bottle at Lidl and 10%). The attractive apple aromas, grapefruit marmalade flavours and a textured honeycomb background are embellished with mango sweetness and citrus acidity. We continue the move away from exploiting the intervention of the botrytis fungus (off-putting to call it that is it not?) to enjoy sweet wine made by reducing grapes’ water content through a drying process. This was originally carried out on straw mats (but is done more scientifically these days) and, like the “botrytis effect”, is a time-honoured way of reducing the water content and , thus, increasing the proportion of sugar the grape residue contains. 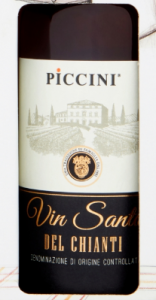 This technique is often associated with Tuscany and in 2011 Piccini Vin Santo del Chianti (£15 for a half bottle also at Sainsbury's and 16.5%) produces a dense, dark wine with a higher alcohol level and components as diverse as demerara sugar, toffee, figs and orange fruit that all, nevertheless, are given balance by slowly evolving acidity. V in Santo is often claimed to have sherry like flavours so now has to be the time to move this post onto fortified wines and – indeed – to sherry itself. My selection though is not one of the bone dry options but the more robust style of Oloroso and a version that, atypically, is from a single year and not the product of the region’s well known solera system that blends wines of different ages. 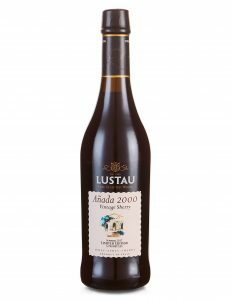 Enjoy then the nuts, figs and gingerbread elements of Lustau Añada 1998 (£20 at M&S and 21%) with its rounded orange fruit, hints of caramel and molasses but firm citrus acidity. It’s an absolute star. Moving to another part of the world of fortified wine brings us to Madeira – a tipple that was originally immensely popular with sailors because it helped avoid scurvy and, unusually for a wine, could survive crossing the equator. Nowadays its appeal is broader but it still gets less attention from wine lovers than it deserves – especially as it is perfect for Yuletide. Don’t just take my word for it though. Sample for yourself the soft, orange and molasses flavours of Blandy’s 5 Year Old Reserva Madeira (£11.99 – instead of £14.99 from today until 1 January – at Waitrose and 19%) with just a suspicion of coconut and figs – a real treat. From an offshore part of Portugal’s wine industry we come back to an area producing one of its long standing exports to these islands – the Duoro Valley and the first of three ports we are going to consider. Unlike Vintage Port, tawnies spend much of their life in barrels which slowly leeches out most of the colour as can be seen in the almost amber hues of 40 year old versions. Younger versions, like this, retain much of their initial red colouration though. In addition to that deep pink colour Croft 10 Year Old Tawny (£19.99 in Scotland or as part of a mixed six elsewhere from Majestic and 20%) has rich bramble and raspberry fruit with suggestions of herbs, allspice, aniseed and developing nuttiness but all freshened up firm acidity. Next up, a bit of an oddity – crusted port. 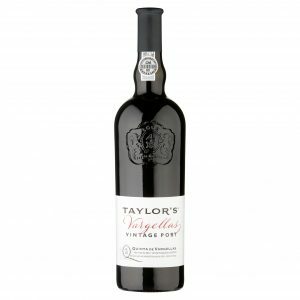 Like vintage port, this is aged in bottle and unfiltered (it is the crusty deposit that gives this wine its name) but it is usually blended from several vintages not just one as, obviously, vintage port must be. Grahams Crusted Port (£13 – instead of £19 from today until 1January and 20%) has been on Morrisons Christmas list for many years providing old-fashioned port lovers (yes that’s me) with cherry and bramble influenced, mellow, plum pudding wine with firm acidity to muse over. While top level vintage ports are inevitably expensive – partly because of all the labour intensive blending it undergoes – a fashion has developed recently for single vineyard vintage ports. It is simpler to make, can be used when localised quality is good but an overall vintage is not declared and – above all – kinder on the wallet. For a good example, seek out 2004 Taylors Quinta De Vargellas Vintage Port (£30 at the Co-op and 20.5%) with its plum fruit, good acidity, mellow mint and chocolate background – and terrific value for money. Next week we return to table wines with a series of recommendations on reds for Christmas. 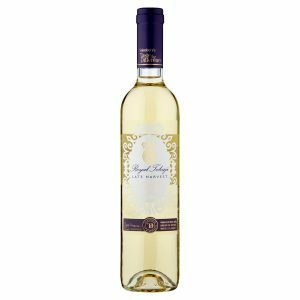 I’v never been a lover of dessert wines, but after enjoying a fabulous Semillon Gewurztraminer “sweety” last week I was keen to try the Tesco Semillon which at £6 seems a bit of a steal. Surprise, surprise, not in my local Tesco! However with Tesco online offering 25% off six bottles, it makes sense to take up this offer. Re my Semillon Gewurtz, Michael Jobling Wines are offering a 2012/13 vintage from Casa Silva for just £8.22. However their minimum deal is twelve bottles. Hi Fred and thanks for tuning in. I am glad that you are experimenting with these sweet wines and hope your positive experience encourages other to do the same. While that straight Tesco semillon will not have the perfumed oriental touches that gewurztraminer usually brings to the party, it does have bright honey touches that make it great value for money. Can’t find the Graham’s crusted port at Morrisons it’s not even on there shopping website ???? Morrisons tells me that this was delisted from their core range but is being reintroduced into stores as a Christmas parcel. It should be back in stores now.